Once I have made my menu plan and the corresponding "must buy" and "should buy soon" shopping lists I have a look at the weekly grocery ads. The ads arrive in Tuesday's mail for the new sales starting Wednesday. The exception is the Fred Meyer ad which comes in the free Friday paper and the Sunday Times. I go through the weekly ad for each store, looking specifically for the items on my shopping list and also for any really low prices on other items. It takes some time to learn what a "good price" is if you aren't already paying attention. Keep in mind that just because an item is in the weekly ad doesn't mean it's a good price or even that it's on sale. Also keep in mind that a 10 for $10 sale doesn't mean you have to buy 10 items - you can just buy one for $1. Sometimes stores have a "Buy 10 and save $5" promotion. Typically you don't have to buy 10 of the same items for these either, but you will have to buy any 10 of the participating items to get the $5 off. This week I made a short list for 4 stores, though it is unusual for me to visit more than 2 each week. Usually I just pick the 2 stores with the best sales and choose to miss out on the other stores' deals. This week I visited 3 stores because of Joanna's birthday party and the quantity of items I must buy immediately. Generally I have very few "must buy" items and lots of "should buy soon" items. I can take several weeks sometimes to find a price low enough to buy on a "should buy soon" item so I try to give myself plenty of time to find the best price. I want to get the good prices on those "must buy" items this week, so I made time to visit an extra store. My short lists were for QFC, Safeway, Top and Albertson's. I elected to skip Safeway because while Coffeemate was at a low enough sale price, none of the items on the list for that store were on the "must buy" and only two, the Coffeemate and non-sugar cereal were on the "should buy soon" list. 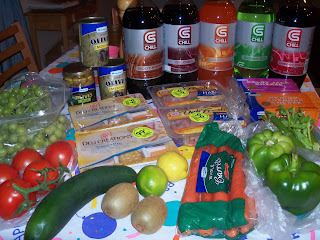 QFC and Albertson's had "must buy" items at low prices and Top had a few produce prices I didn't want to miss. 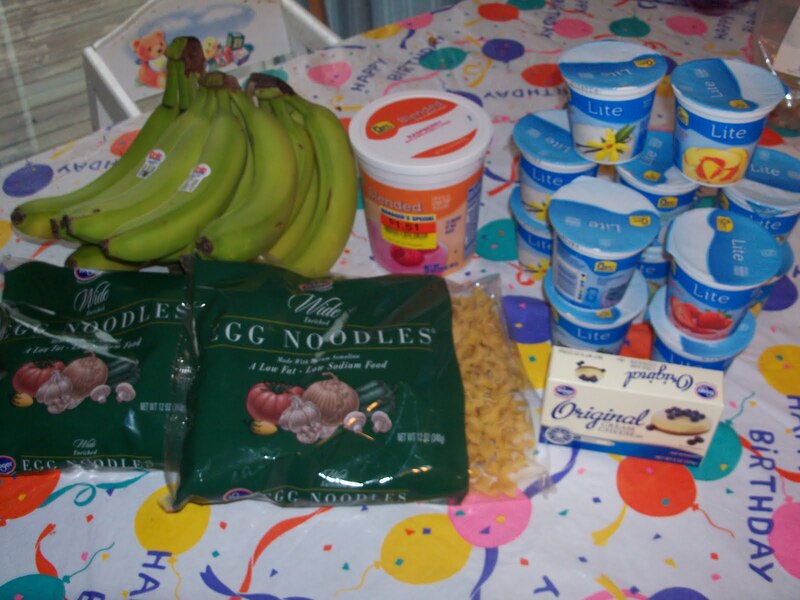 So those were the three for this week's shopping. 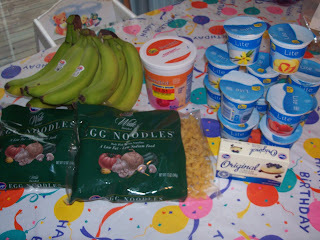 There are still a few more things on my "must buy" list for these two weeks of menu plan and Joanna's party. I'll have a look at the ads for the new week to see what kinds of deals I can find. Next up: What's a "good price?"